Epson’s TM-U230 single-station impact printer is ruggedized to provide reliable, high-quality performance in kitchen environments. Built with the same high quality and reliability of Epson’s best-selling TM-U200B impact printer, the new TM-U230 offers fast, two-color order printing and an exceptionally durable case that stands up to harsh kitchen conditions. 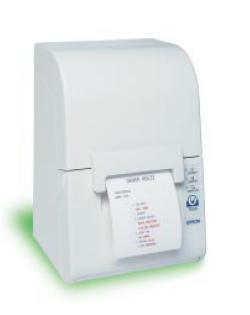 It also offers Epson’s exclusive right-side-up printing for easy reading of kitchen orders. They are available in Epson Cool White or Epson Dark Gray. Multiple Interfaces available.